Will Allen Dromgoole was born in Murfreesboro, the last child of John Easter and Rebecca Blanche Dromgoole. When she was six, Dromgoole changed her middle name to Allen, and throughout her life was known as Will Allen or “Miss Will.” In 1876 Dromgoole graduated from the Clarksville Female Academy and studied at the New England School of Expression in Boston. After her mother’s death in 1884 and confronted with the responsibility of caring for her aging father, Dromgoole began her writing career. She published a sentimental novel, The Sunny Side of the Cumberland, under the name Will Allen in 1886; her first short story, “Columbus Tucker’s Discontent,” was published in and awarded a cash prize by Youth’s Companion in 1886. Dromgoole studied law with her father and in 1885 and 1887 won terms as an engrossing clerk in the state Senate. She was defeated in 1889 and 1891, possibly because her unflattering portraits of the Melungeons, an East Tennessee mountain community, in articles published in the Nashville Daily American (1890) and the Boston Arena (1891) angered the senators who represented them. Beginning in 1890, Dromgoole edited and contributed to Will Allen’s Journal: A Literary Society Weekly, published in Nashville for several years. After public criticism following the second defeat in 1891, Dromgoole traveled to Texas, where she taught, wrote for newspapers, and founded the Waco Women’s Press Club in 1894. On her return to Nashville, Dromgoole spent most of her time with her father, who died in 1897, and in 1898 published a tribute to their life together, Rare Old Chums. Continuing to reside in Nashville, Dromgoole returned frequently to the “Yellowhammer’s Nest,” a cabin located in Estill Springs. In this peaceful refuge bought with her first earnings in 1887, she enjoyed hunting, fishing, and writing. The cabin and all of its contents were destroyed by fire in 1972. Having written for the Nashville Banner since 1900, Dromgoole was hired as a permanent staff member in 1902 and in 1903 began her immensely popular column, “Song and Story,” which continued for thirty-one years. 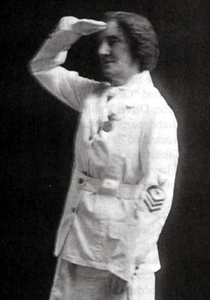 Shortly after the United States entered World War I in 1917, she volunteered her services to the U.S. Navy and in May was recruited as a yeomanry warrant officer, perhaps the first female to serve in this capacity. She was stationed in Norfolk, Virginia, where her official responsibilities included working at the base library, recruiting young men into the navy, visiting ships, and delivering patriotic speeches. Her columns continued during this period, but she wrote about Virginia instead of Nashville. Dromgoole returned to the Banner in late 1918 and was named literary editor in 1922, remaining in that position until her death in 1934. Dromgoole was in great demand as a speaker to literary groups, patriotic clubs, and writing circles during her life; she was named Poet Laureate by the Poetry Society of the South in 1930. Among her many literary achievements are thirteen books, dozens of stories, over eight thousand poems, over five thousand newspaper columns, several nonfiction articles, an operetta, and two plays. In all of these she depicts the hill folk of East and Middle Tennessee or the residents, poor and wealthy, black and white, of Nashville. Dromgoole is buried in the Evergreen Cemetery in Murfreesboro.